Does a Flat Iron Kill Lice? Fact or Myth? Lice, nits, eggs; all of those words can truly make a person’s skin crawl. The thought of these little creatures living in your hair is not a pleasant one. But that is exactly what they do, even though they are not welcome. 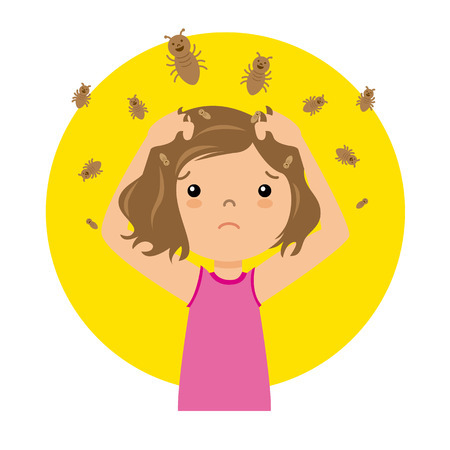 Although they are most commonly living in children’s hair, a head lice infestation can occur in a person of any age or gender. There are many remedies out there to rid your hair of lice and nits, some being more time-consuming and challenging than others. You might have heard that using a flat iron is one of those remedies. 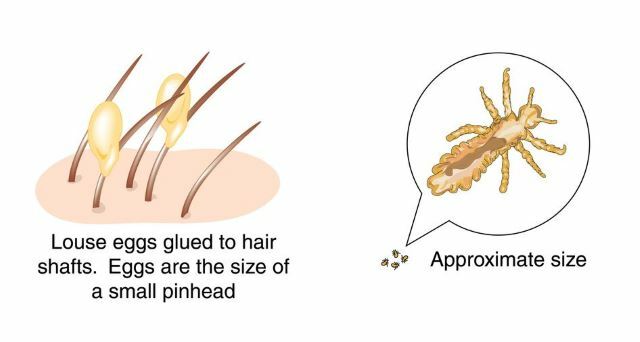 In this article we will explore that remedy and help you to become a little more ‘in the know’ about head lice. Lice are small parasitic insects that unfortunately like to live in human hair, and yes even clean hair. The singular term for lice is louse. They feast on blood drawn from the scalp in very small amounts. They are easily contagious and hard to get rid of. They can crawl from head to head during a sleepover and multiply. The eggs they lay to multiply are called nits. 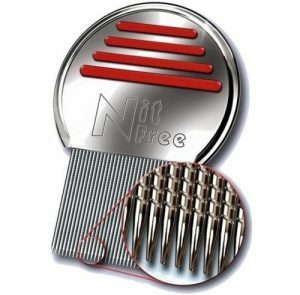 Although difficult, It is possible to see or feel these nits in the hair. They almost look like a grain of sand and can be grey, tan, yellowish or white in color. Specks. The appearance of tiny sand-like specks in the hair which would be the nits. Itching. This is a reaction to the saliva from lice bites, usually behind the ears and on the nape of the neck. Bumpy rash. A rash can develop due to scratching and irritation. Now to the part where we discuss removing these parasitic insects. A cream with permethrin in it. It can kill lice and eggs for 2 weeks after being rinsed off. 3. 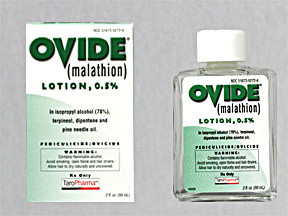 Prescription medicines such as benzyl alcohol at 5%, or malathion lotion. 2. Shampoos containing pyrethrins and piperonyl butoxide. The shampoo is left in the hair for 10 minutes. It needs to be repeated 9 days later. 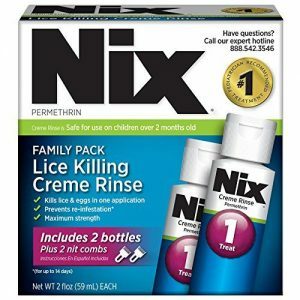 Will a Flat Iron Kill Head Lice and Nits? This is not a myth! Head lice can be destroyed by heat. Lice can not handle temperatures higher than 104 degrees fahrenheit (40 degrees celsius). If you use your hair straightener at this temperature or higher than it may be possible for you to kill them and their eggs. Most flat irons have temperatures over and above 104 degrees Fahrenheit. Have a look at our flat iron comparisons to see some temperature ranges. For example the PROFESSIONAL FLAT IRON by Jolie Amour goes up to 450 degrees Fahrenheit. Be careful not to hold the flat iron on your hair for too long! While your goal is to kill the head lice and nits, you do not want to burn your hair at the same time. I wouldn’t get too excited just yet however. Lice and nits do manage to live close to the scalp. It is not safe or worth risking a scalp burn by your flat iron just to get close enough to them. 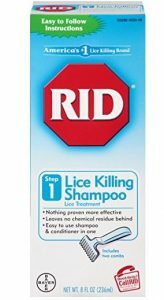 While you may be able to kill some or most of the head lice in your hair with a flat iron, this does not mean you will have killed every single one and further treatment may still be required to end the infestation for good. If you’ve missed but a couple nits in your hair, they will hatch later on and re-establish their numbers once again. So there you have it. A hair straightener can kill lice and their eggs. It’s not only a myth and while flat ironing head lice seems like a fun, simple way to kill them, we wouldn’t recommend relying on this method to completely rid your hair of these nasty critters. Best to stick to the most effective treatments out there. I hope you enjoyed this article. Please comment and share your experiences! Gemma was born and raised on a farm in rural Washington. You could say that is partly her inspiration for heading down the path to becoming a beauty expert! She is a self-taught lotioncrafter after spending years researching and experimenting with diy cosmetics. Currently she is an avid beauty blogger for Beautisenz.com but in her downtime loves to chill out on the family farm.